A great deal has been written about whether in the internet age, your business should have a phone number on your website or not. On one hand, having a phone number can increase the trustworthiness of your website, help sell potential customers who aren’t comfortable buying online, and allow customers to easily contact support. The flip side? Phone support costs money. 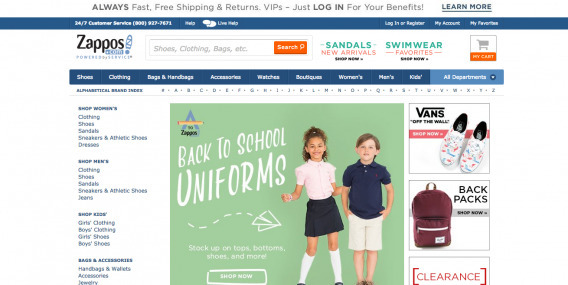 Zappos – a company that built its brand on customer service – drew a line in the sand by featuring its phone number on the top of their website, all the time. Not much. These are a handful of anecdotes which prove nothing other than that you can build a successful business with or without having a phone number featured on the page. This post is about how you can use testing and data to determine if having a phone number is right for you and your business. Here’s the exact method we used to decide whether or not putting a phone number on our site was effective and efficient. 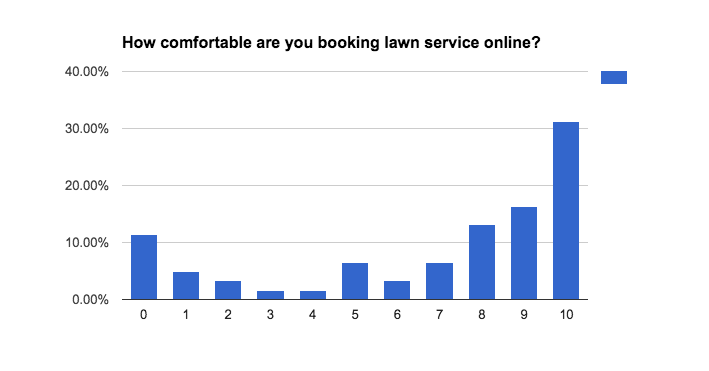 At my company, LawnStarter, we allow people to easily book lawn service online. Both my co-founder and I were inspired early on by Zappos, so we always featured a phone number on the page. But as we got better at CRO, built up our A/B testing cadence and saw more conversion online, we asked ourselves if we should still include our number on the page. We follow the ConversionXL process, so we ran the following poll. Booking lawn care online is fairly new in the grand scheme of things, so it was a pleasant suprise that a majority of responders seemed somewhat comfortable booking lawn care online. Plus, we could probably use some of the tactics described in the article “What Do You Do When Your Customers Are Afraid To Shop Online?” to combat this. But with a strong 10% clearly terrified of the prospect of booking lawn care online, it’s very clear that we should at least test having a phone number on the page. Conceptually, it’s quite simple to figure out. You run an A/B test with version A featuring no phone and version B having the phone prominently displayed. The tricky part is attribution. While I strongly recommend connecting all your company’s data together in once place, there’s no need to invest in an elaborate call tracking setup before you even know if having a phone on your site is worthwhile. This method will use a forwarding number and a little bit of excel work to do the test. The first step is setting up a tracking number. Fortunately this is very easy with most VOIP systems. 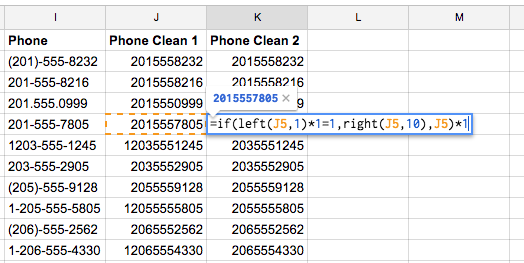 Please note: you should use a tracking number specific to this experiment – not just your existing phone number. The reason being that phone numbers get scraped by Google and other directories. Phone calls made to your main number may not have originated on your landing page. 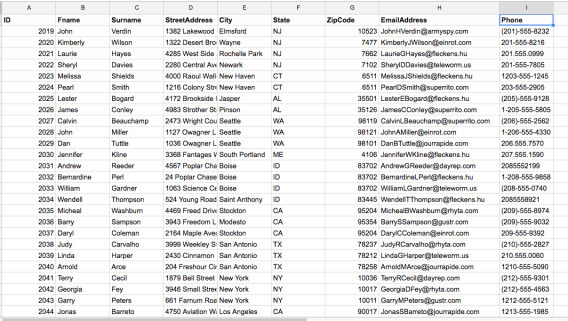 Make sure your phone records can be exported to a CSV. Talkdesk and most other VOIP providers allow for this. For purposes of this tutorial, we’ll use Twilio. 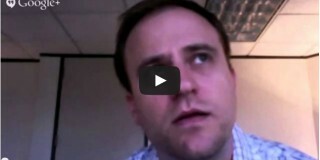 This video walks you through the steps of setting up a forwarding number. This part is pretty straightforward. Simply take your tracking number, and put it in the desired spot in your preferred A/B testing tool. Once you have this setup, go ahead and integrate the test with Google Analytics, Mixpanel, Segment, or however you’re used to tracking conversions. Now your test is ready to be run. 1 – Export your online conversion data from whichever tool you use, put into one tab like this. In the previous step, we made sure we were capturing our customers’ phone numbers. Download these from your database, and put them in their own tab. If your phone numbers look like this – perfectly formatted – then good on you. In many cases, the phone numbers look like they do in the formula above. 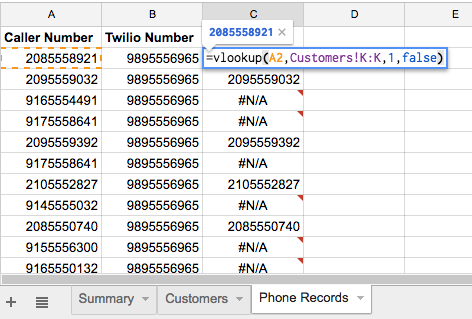 Fortunately, Twilio keeps call data clean, so you shouldn’t have to do too much formatting. Simply import the incoming calls associated with your tracking number, and paste them into a third tab in your spreadsheet. 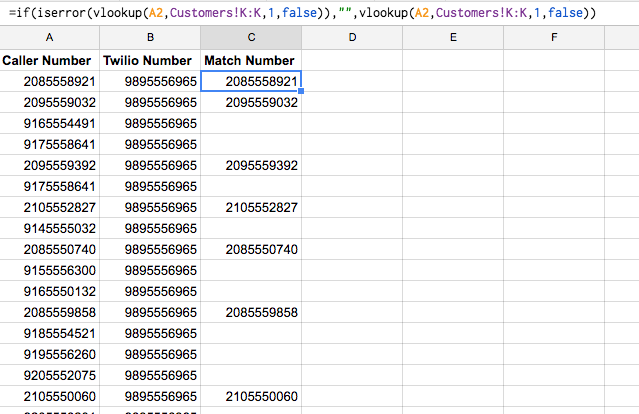 Now we’re going to use the trusty ole VLOOKUP function to get call conversions. 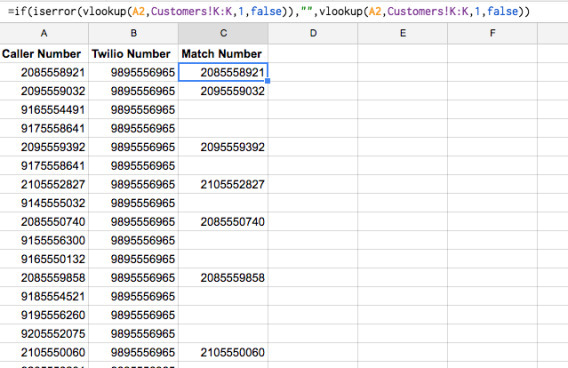 We’re going to use VLOOKUP to check whether the incoming caller number is also found in our customers list. 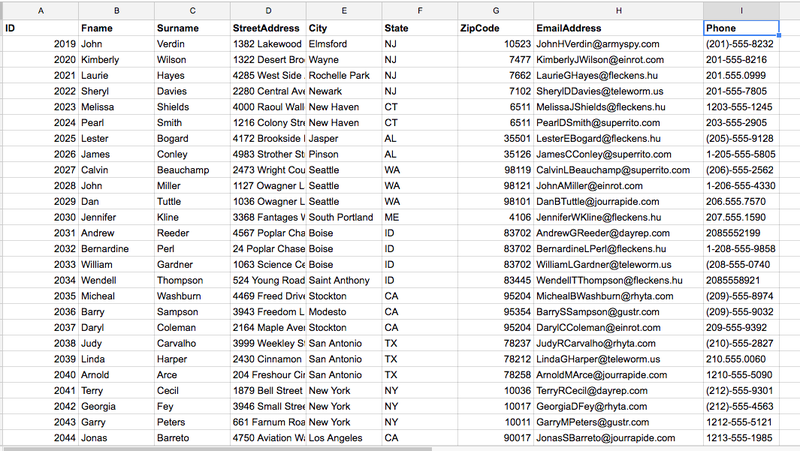 See all those cells with phone numbers in column C? Those are customers. The error cells, indicate incoming calls that did not result in conversions. Let’s make it a little cleaner using an an IF() and ISERROR() statement. We’ll go ahead and cut and paste these formulas into the ‘Summary’ tab. In this fictitious example, we saw a significantly lower online conversion (having the phone number), but a higher overall conversion. But the test isn’t yet finished. Phone sales aren’t free – you need to pay a human to make the sale, and you can’t exclude this in your analysis. 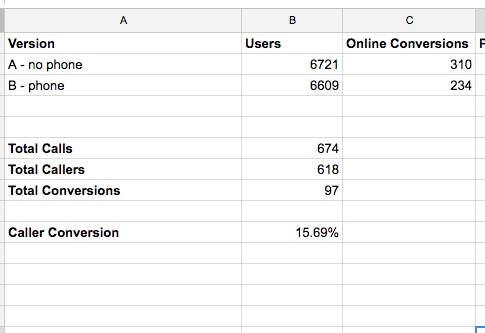 As you can see in the spreadsheet, we got a 9% increase in conversion, while we only got 2% increase in total LTV. If we were making a simple tweak to the UI, it wouldn’t be a complicated decision to execute. However, phone support requires people, time, resources, and costs. 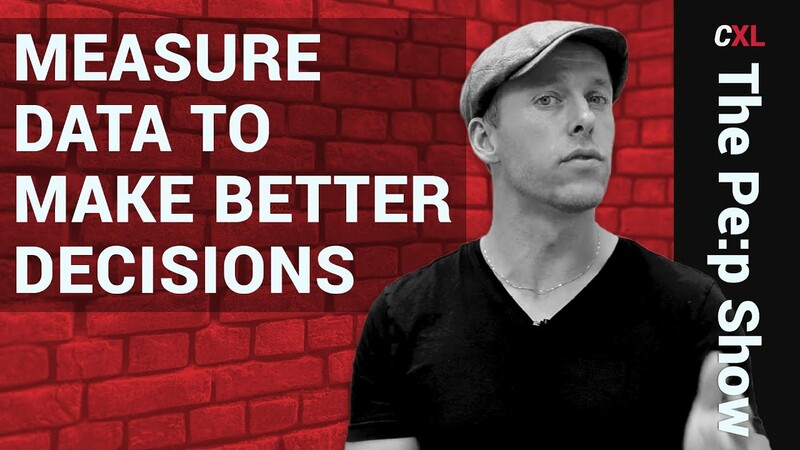 Here are some next steps to help you hone in on a data-driven decision. You could do a significance test on revenue and call it quits. But that isn’t the point. The point of testing phone vs no phone is to get a general sense of whether having a phone can be a large enough opportunity to account for the overhead involved. Sensitivity analyses can help evaluate the real opportunity. Increase in phone conversion: Your phone conversion probably wasn’t optimal for the first go around – what does total LTV look like if you can increase it? Decrease in rep cost: What does it look like if you decide to have your sales reps overseas at a fraction of the cost? Hiding the phone number: Suppose you hide the phone number at the bottom of the page, hoping to maintain your online conversion, but allow those super-luddites to still all in. 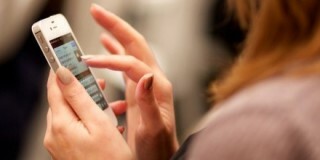 Many businesses report significantly lower conversion on mobile. The result could be that you only include a phone number on mobile, but none on desktop. And you’re right. Hiring a sales rep costs time and money. There’s turnover. You have to train them. While a rep may be able to handle 30 calls per day on average, it’s very likely you’ll have to increase the number of reps to handle peak time. As the team scales you have to do call reviews, and eventually hire management. Scaling a sales team and maintaining, not to mention improving your conversion rate is no easy task. You’ll have to account for this in your financial plan, but that’s another post. If you currently have phone support and remove the number, you’ll want to make sure your customers can still get their problems solved. The method I presented is quick, dirty, and requires no overhead. But should you decide that having a phone number is right for your business, it will inevitably be part of every A/B test you do going forward. You’ll want to make sure you create the systems to track on an ongoing basis. Personally, I hate being slave to the limitations of out-of-the-box analytics tools. 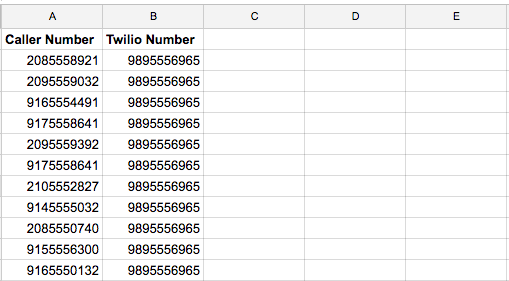 So at LawnStarter, we simply set up a MySQL table that contains all of our tracking numbers. We put all of our internal data as well as data from 3rd party tools into one Redshift database, then join it up and visualize in Tableau. Finally, you have to think about the type of brand you want to build. 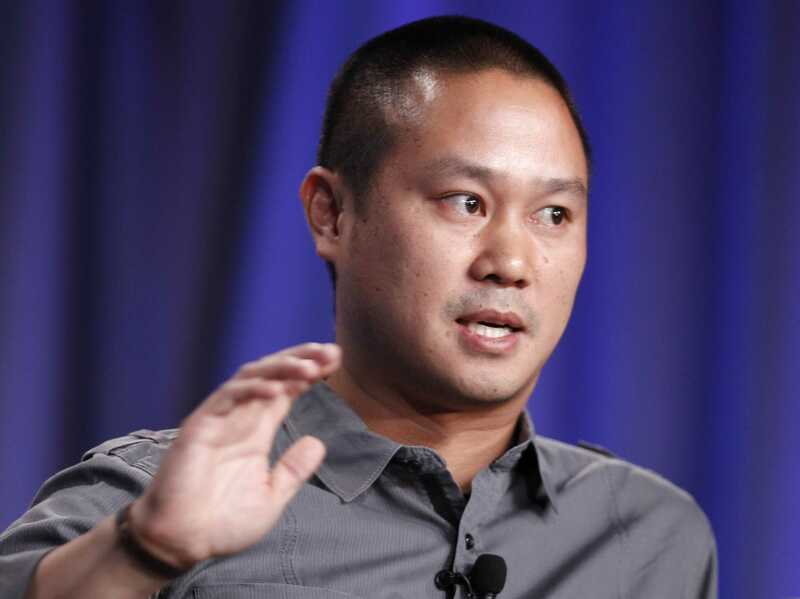 Do you want to be Zappos, Amazon, or something in-between? The phone number goes a long way to making this determination. A phone number on a website can be a game changing opportunity, a huge cost center, or simply inconsequential. And with most things in digital marketing, you can’t rely on other companies’ case studies or “best practices”; you have to test it yourself. Have you used data to make the phone – no phone decision for your business? Share your experience in the comments below! Ryan Farley is the co-founder of LawnStarter. Ryan, this is the number one post I’ve read in 2016. You share data and quotes from top companies, you tested it yourself and rather than tell us what to do you give us the framework to test this with our own data. You are too kind Luiz – thanks for reading! I work form a small web hosting company. 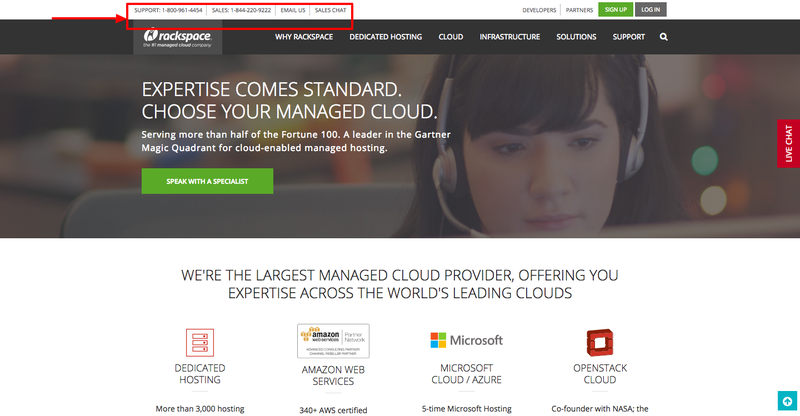 It can not be compared to Rackspace in any segment. From my perspective – almost always is better when people send a ticket or an email to us then to talk with phone. It takes to much time. 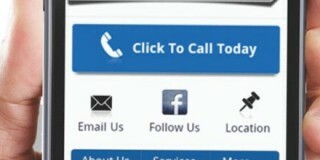 We put a Vonage phone number on our site. All calls go straight to voicemail, but at least the customer hears a message from us in a human voice. The customer’s voicemail is then transcribed and immediately sent to our email support by Vonage. That way we can quickly scan the message, and call people back if needed. However, most calls can be handled faster by us looking up the customer in our CRM and emailing them. Some customers talk and talk, and it can be awkward getting them off the phone when you have other calls. In a perfect world phone support is best, but it can be highly inefficient when you are dealing with thousands of customers online in all time zones. Not all businesses can afford 24/7 live operators, or even 9-5. We tried outsourcing, but that didn’t work well. This has worked great for us. It’s nice to push as many support calls to email because then you also have a record of what was said. Genius idea! Great way to have a phone number, without having phone support. 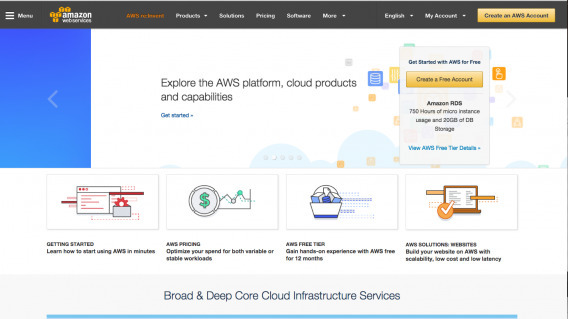 It depends to an extent on the type of company, their visibility, how recognisable the brand eg Amazon and not a good comparison for the majority of SMB size businesses. Whereas more consumers are getting used to and using online ordering facilities, and particularly for small e-commerce companies, having both tel and address clearly shown is to some extent a ‘trust’ factor. It gives the security of knowing that if things did go wrong there are the means to contact the company. In most cases, users will proceed through checkout and never have the need to make a call of any kind. But would you hand over your hard-earned cash to a stranger who you had never met before and might never see again? There is nothing worse than reaching a contact page to only have the one option of sending an email even although that was your preference. Doesn’t instill confidence in the security of the site. Good point. 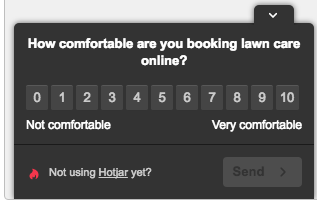 For some businesses, a phone number is expected, whereas others it’s not. For example, you wouldn’t expect to see one on ConversionXL. That’s why you have to test it. You can build this entire process in Venntive.com, from A/B landing page testing to click-to-call and all the reports will be automatically generated. Awesome! This is my first time hearing about Venntive. IMO, this isn’t even a debate. If you sell something that costs more than $50, you have to have a number as there are enough people who will never buy if they do not see a number to justify it in almost every case. If not, then you are doing something else fundamentally wrong to not get enough sales to justify it, or your site is too confusing generating too many calls in the first place eating up your reps time. Maybe the $50 rule applies to some businesses, but not necessarily. Scaling a sales team is neither easy nor cheap. And I’ve seen plenty of instances where phone sales cannibalize online conversions. There are hundreds of software platforms that cost at least $50/month that would never be able to have phone support. I guess it is more to do more with the money rather than need because displaying phone number won’t hurt your business, if you can afford it than go for it. But… hey, waitaminute… In step #2: Download your customer account data into a CSV, that’s not a screenshot of your real customer contact information, is it? If it is, you may want to swap out that image for a version that blurs out the sensitive portions. Interesting post! As was highlighted above: the suggested approach works fine for small sites with low order value and few repeat clients. At other sites it makes sense to take the user’s online journey into account when determining contact channel visibility. A one-size-fits-all approach leaves a lot to be desired (high costs, cannibalization, etc.). Moreover, there also the challenge of optimizing between channels (inbound phone / call-me-back / chat / etc.). Machine Learning that predicts online behavior, uses both online and offline outcomes, integrates with your contact center (makes little sense to show a phone# when there aren’t any agents available) etc. is the method of choice for larger firms. Trying to achieve the optimal Contact Channel visibility using manual reports is like faxing your order when everybody else uses high frequency trading. We [shamelss plug: http://www.nowinteract.com] have seen companies that use machine learning for contact channel visibility achieve 60+% call conversion on one hand, and other companies reducing calls with 30% without impacting customer satisfaction. It’s an emerging field, but it is certain that there are a lot of opportunities to be reaped for both online companies trying to increase conversion as well as traditional companies becoming more digital. This is really useful, thanks for sharing. We at nwook.com have been contemplating hard whether to invest in an expensive cloud number or just have a regular number with forwarding. We haven’t even launched our service so investing in advance might be futile. We feel it is important to have phone support at least till the point where customers are well acquainted with a product or service. Hence, we have bought a regular phone connection and set up call forwarding to separate numbers so that somebody always answers the call. Hope it works. Hi Arpit: even established players can get good ROI from phone support. Key point is to learn from each phone interaction and ensure that you’ll improve the site so you won’t receive a call with the same call reason the next time. Hey Ryan, thanks, it’s a very helpful post and very informative about how to put phone numbers on your site. Thank you very much for teaching me this.